I have been given a Gift of Healing. I am very grateful and feel very blessed to have this gift. 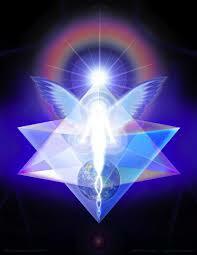 I am able to heal deep emotional problems, and help cure many serious diseases. I can shift things in your body with psychic surgery, and I can remove past life wounds and blockages in your chakras. I can open the chakras so that you feel more connected to Spirit. Sometimes I can heal quite serious problems in a session or two, and sometimes it takes longer, depending on the severity of the illness or dis-ease. For me, healing is a contract between you, me and Spirit. We remain open and receptive and many beautiful and magical things can happen. My Lithuanian Grandmother was a Healer and my Cherokee Grandfather was a Healer too, I have it from both sides off the family. 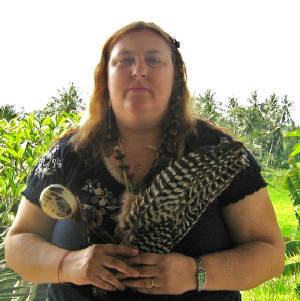 I have also, to help fine tune my healing abilites, studied or apprenticed to anyone I could find that were amazing Healers, and I have found quite a few in my travels, and also in the exploration of my Native American culture. My son also has inherited my gift, and I have a sister who is a Medicine Woman as well. My husband is a Reiki Master and has a following of his own. My father used to use spontaneous Healing on us when we were children. He'd stare at us and say" You are not sick, you are not sick" over and over again, until the fever broke, or we got up and started running around and playing. I didn't even go to a regular doctor, other than physicals for school, or gynacologist things until I was 35. I have also experienced some miracles with my own healing in this life, having defeated death and paralyzation many times. Some of the modalities I use (If you want to see the full list look at my spiritual resume page): are shamanic extractions, psychic surgery, cranio sacral therapy, chakra balancing, Channeled healing, soul retrieval, past life healings, sound healing, Native American Healing ceremonies, spontaneous Healing, chakra opening and so much more. I can also do these healings over distance and have many clients who have me heal them over skype. I am a Medical Intuitive and I can "see" inside the body. My son always says "Mom, you should have been a doctor!" because I often know as much or more than doctors do. Though I'm sure if you are a doctor and you are reading this, your hackles may rise. Doctors do study a lot to become doctors, but I also have been studying the human body and energy for 40 years. I have been given the honorific title of Medicine Woman by my mentor Linda Ross, a Navajo Medicine Woman who is the most extraordinary Healer I have ever met. It is a honor. This is not a title you can take yourself in the Native American community, it has to be given to you, and usually after many, many years of apprenticeship to another Medicine Person. I am so grateful to have been able to improve the quality of life for thousands of people over the years. It truly gives me great joy. No problem is too daunting for me, I enjoy a challenge!